Andy Rubin leaves Google; Sundar Pichai promoted to #2 man at Google; and Google invests in $542 million B funding for Magic Leap. Andy Rubin, the Google executive who was in charge of the company’s robotics group and spearheaded the Android operating system before that, resigned from Google and will start a tech incubator focused on hardware. According to the NY Times, Mr. Rubin’s departure is part of a series of recent executive moves that seem to give Mr. Page more room to focus on the company’s longer-term bets — like robotics — while handing almost all the responsibility for Google products to Sundar Pichai, a rising star. The robotics group will now be led by James Kuffner, who has been at the company since 2009 and has worked on self-driving cars, a Google spokesman said. Andy Rubin, former leader of Google’s Android mobile business, oversaw a series of robotics acquisitions last year, so his departure comes at a poor time for the company. That puts pressure on Kuffner to bring together disparate Google properties like Boston Dynamics and Schaft. Sundar Pichai, is to oversee every major Google product except YouTube. The move arguably makes Mr. Pichai the second-most powerful person at the company, and is intended to give Mr. Page more time to focus on more futuristic projects, according to a person with knowledge of the situation. In a memo on Friday, Mr. Page said that Mr. Pichai’s empire – which already includes the Android and Chrome products, along with Google Apps like Google Docs and Gmail – will now include Research, Search, Maps, the social media network Google Plus, along with Commerce. He will also oversee technical infrastructure, which is essentially the ever-growing racks of servers and switches that keep all those products working. Much interest within the robotics community has been focused on Google’s acquisitions in the area of robotics because Google hasn’t said anything about what they are doing. So many start-ups … So much talent … What’s their long-term goal? What’s the common denominator? How, where and when will those purchases and their activities combine into some money-making enterprise(s) and/or product(s)? As artificial intelligence software and emerging learning chips fuse into more speedy and capable pursuits, the line between things robotic (which has a specific definition) and AI-driven robotic activities not yet defined (like software bots) is coming into question. Hence the interest in where Google is focusing. Some of that focus has been on acquiring learning system companies (and talent). Additional focus may include virtual reality, 3D imaging, and augmented reality systems. Imagine that you were driving in China and didn’t speak or read Chinese. How would you understand exit signs on the freeway? With augmented reality systems in your car, signs you see could be translated automatically so that what you percieve is the sign in your language without distraction. 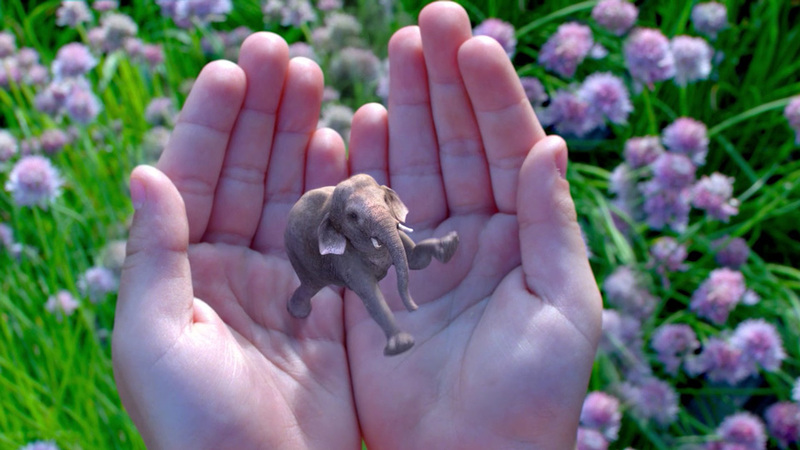 The opening scene on the Magic Leap website is of a virtual elephant inside the palm of your hand. No Google Glasses. No Oculus Rift headset and goggles. Scrolling down a bit one sees a classroom scene with colorful sea horses floating inbetween the kids. Back in July, NY Times technology writer John Markoff described Magic Leap’s grand goals. Thus it was no surprise that Google participated in the recent $542 million B funding round for the start-up Magic Leap, a Florida start-up that claims to merge the physical and digital worlds with hardware and software that surpasses existing virtual and augmented reality solutions. Other participants in the B funding included Qualcomm, KPCB, Andreessen Horowitz, Obvious Ventures, and Legendary Entertainment.